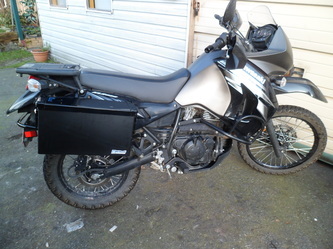 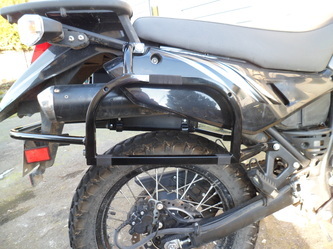 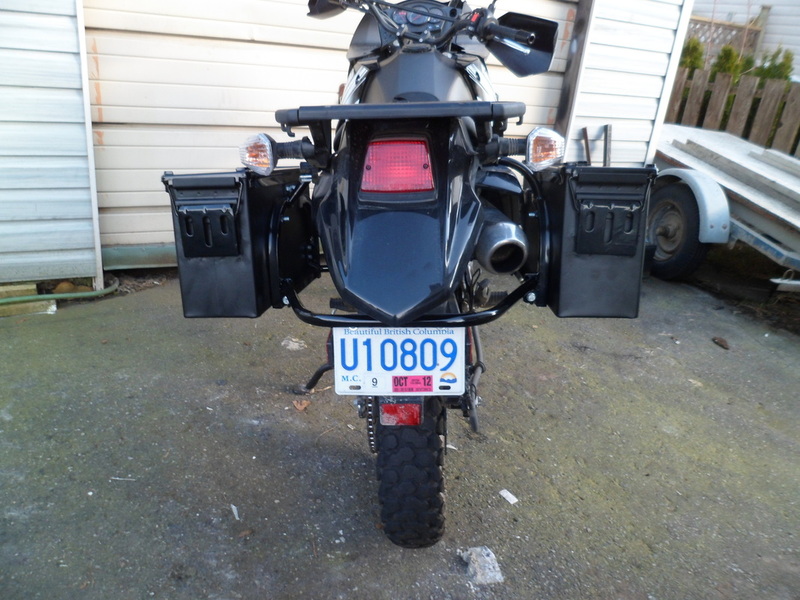 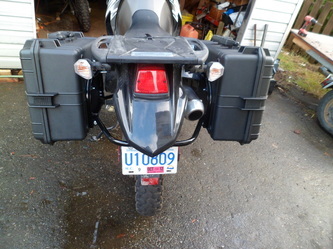 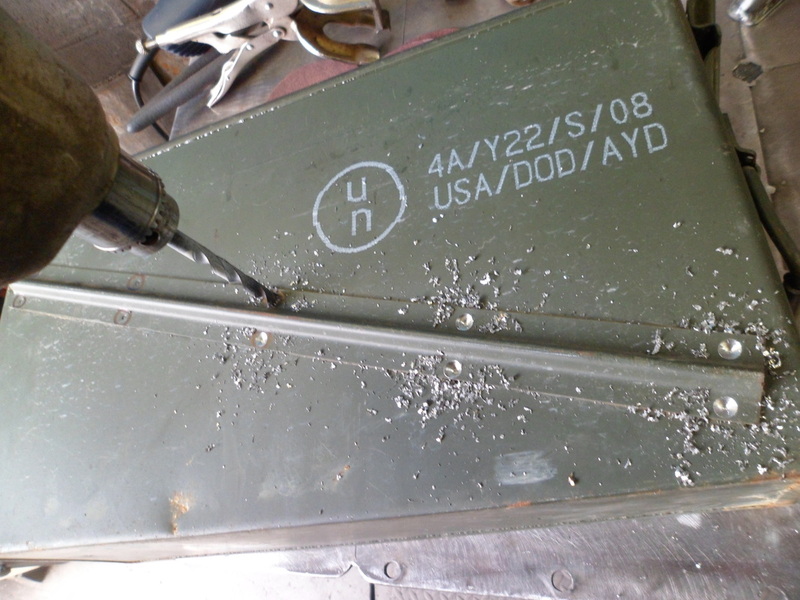 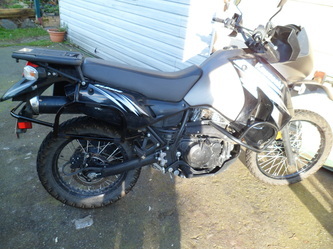 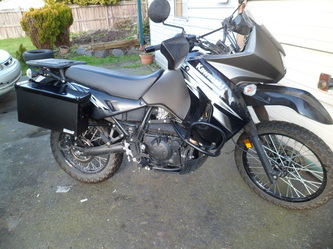 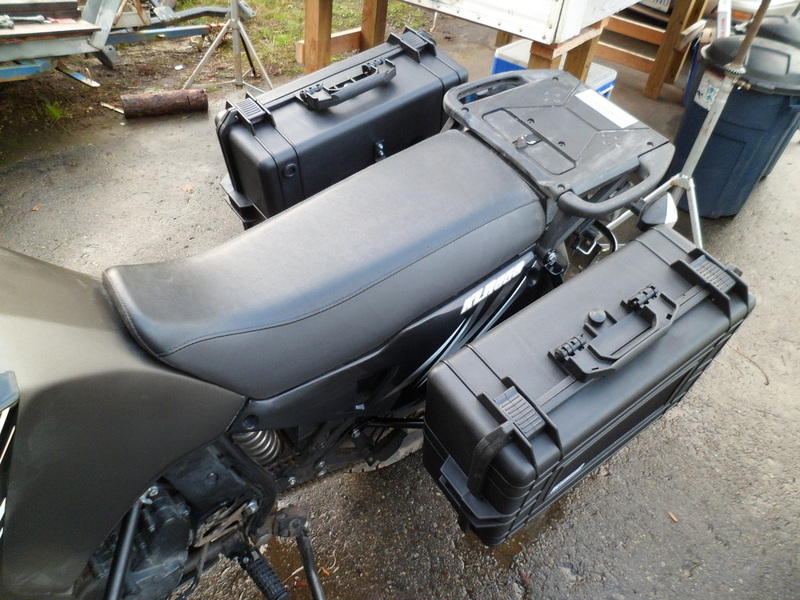 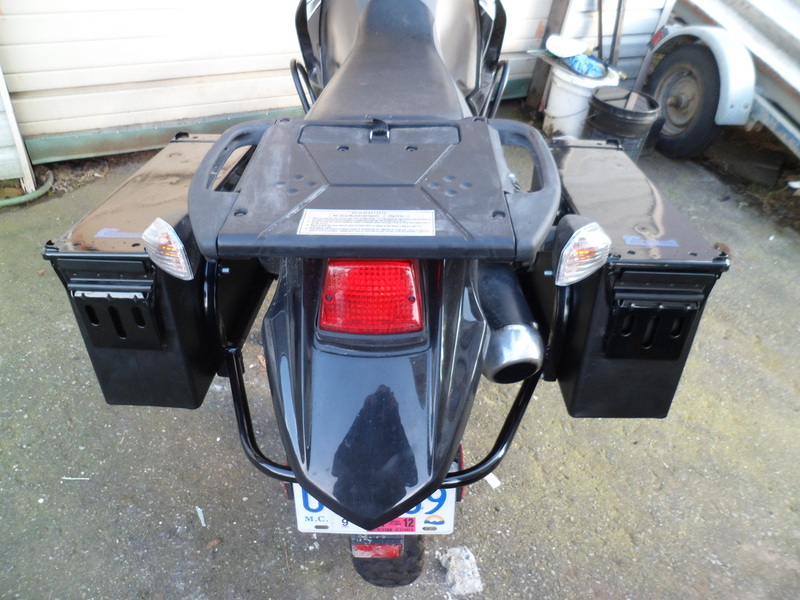 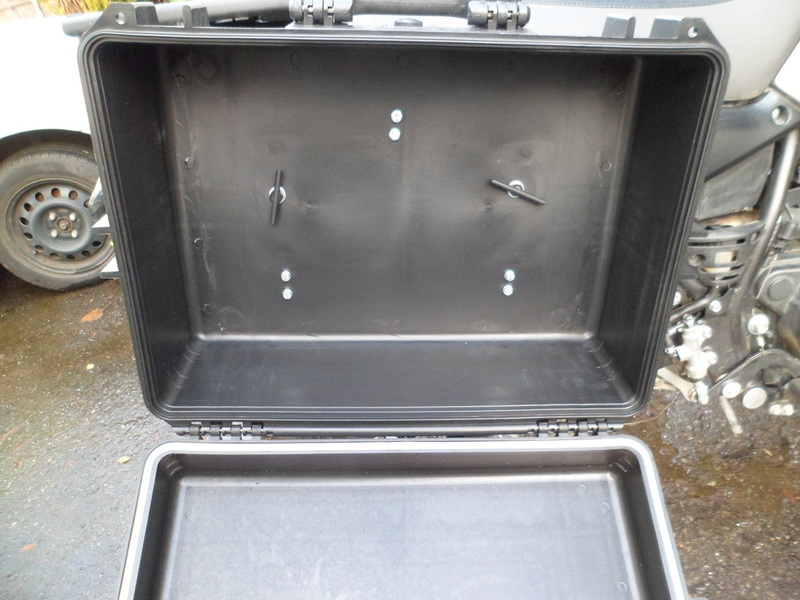 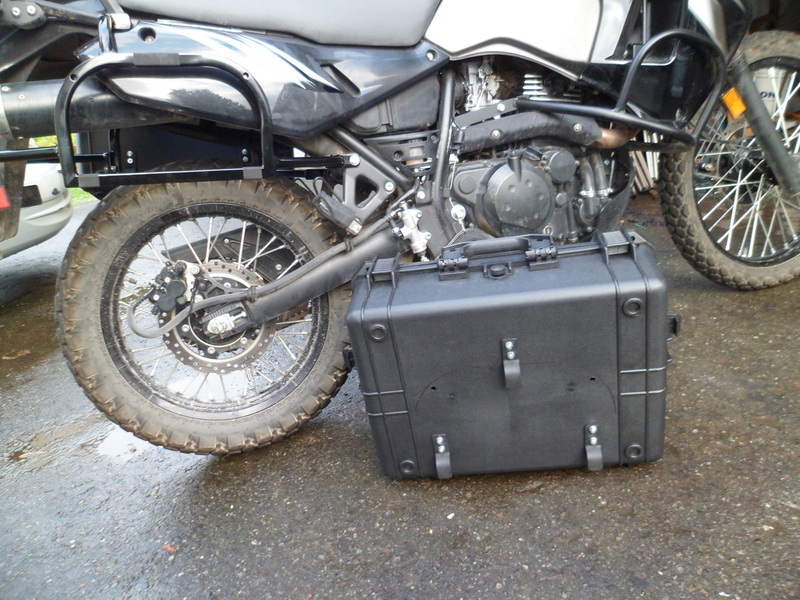 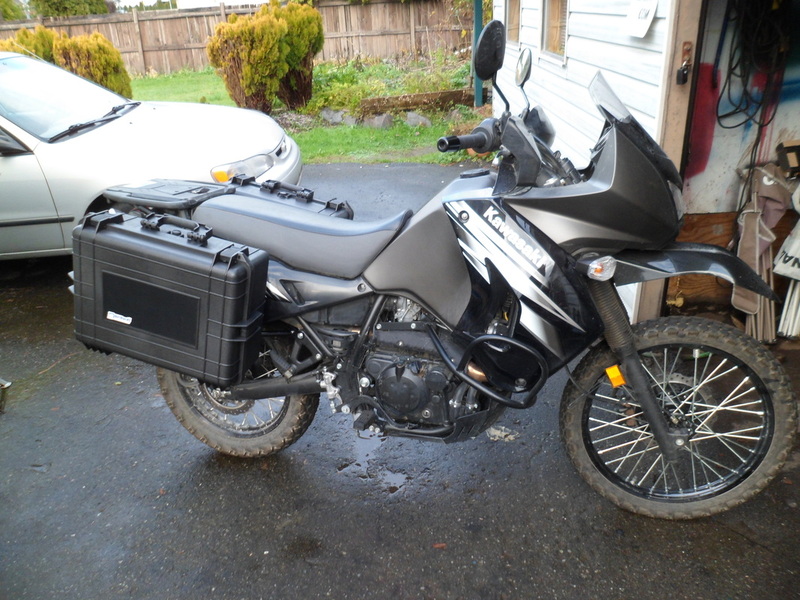 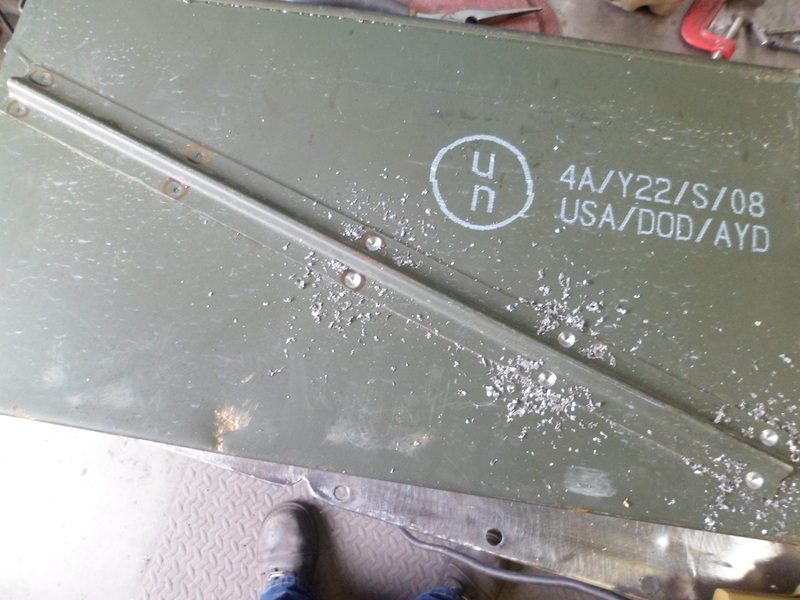 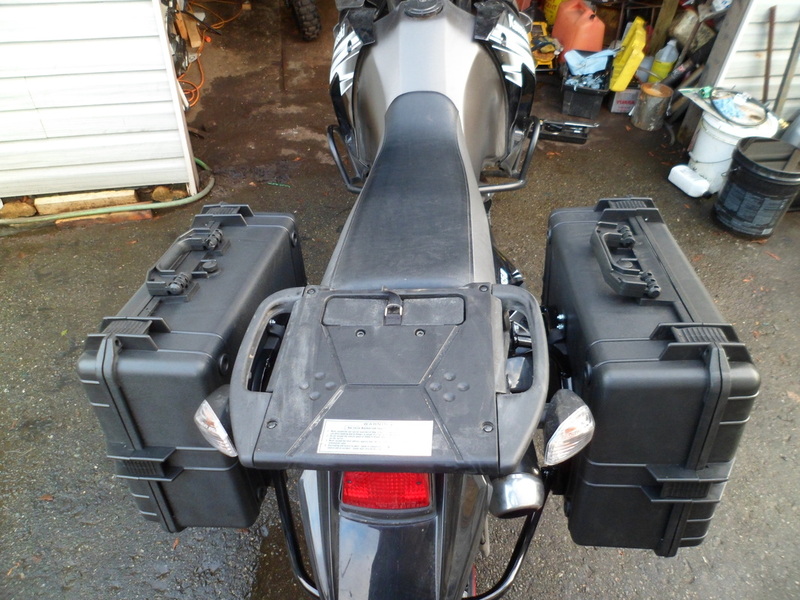 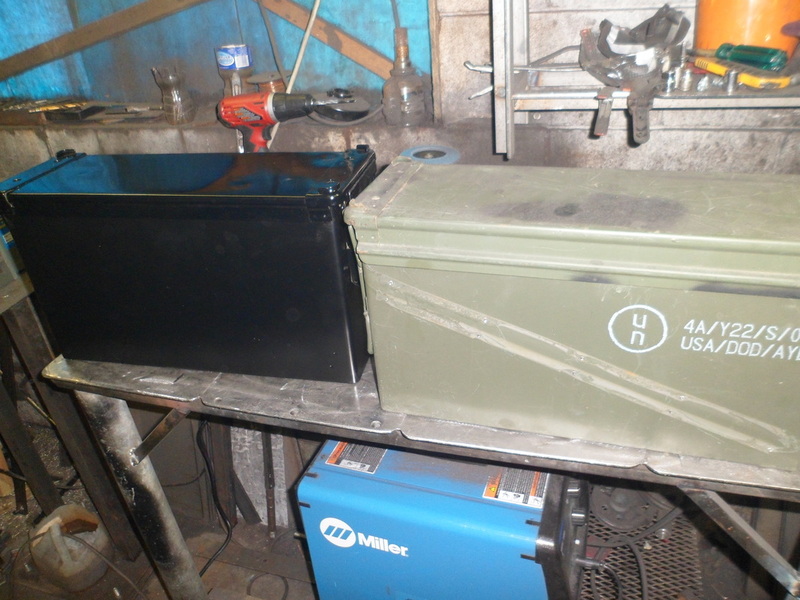 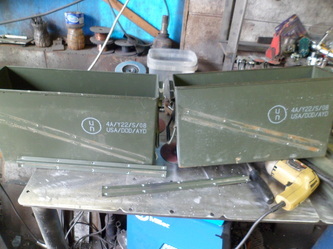 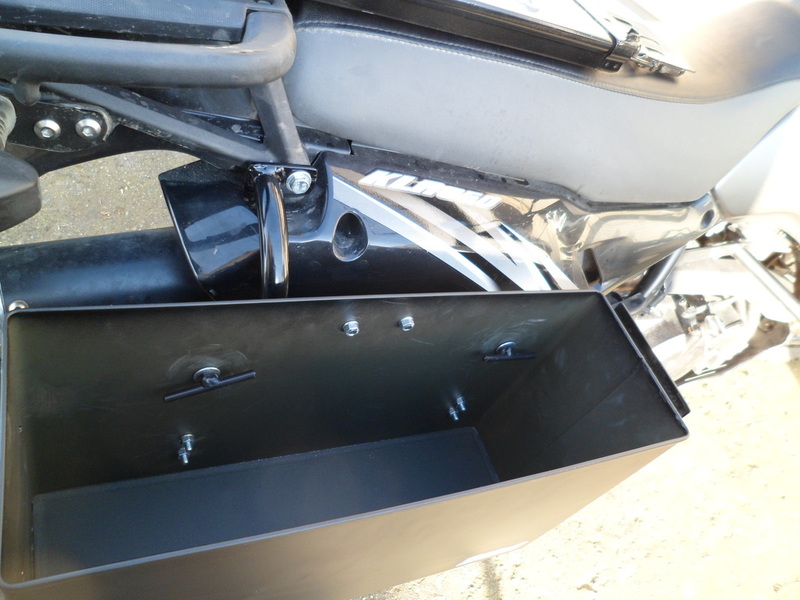 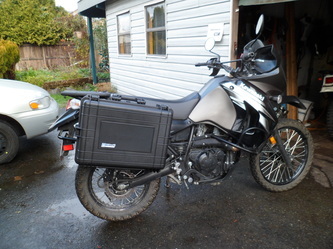 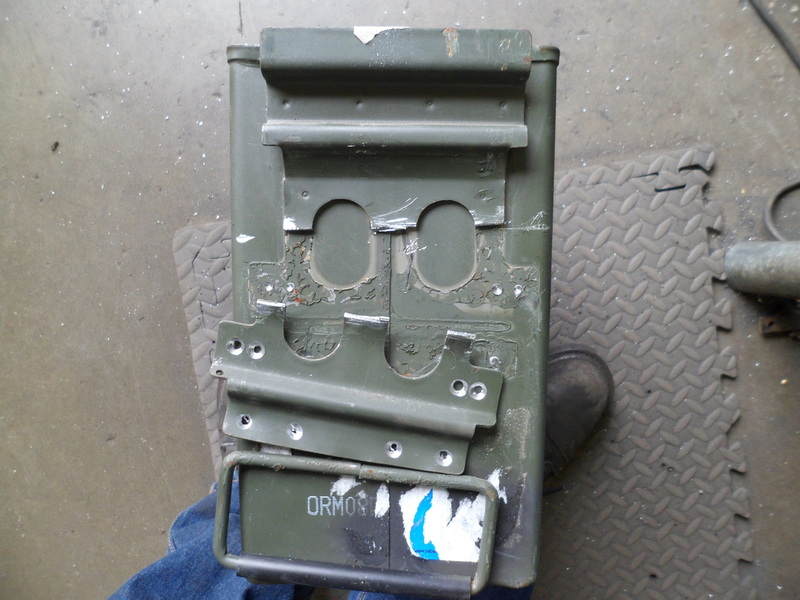 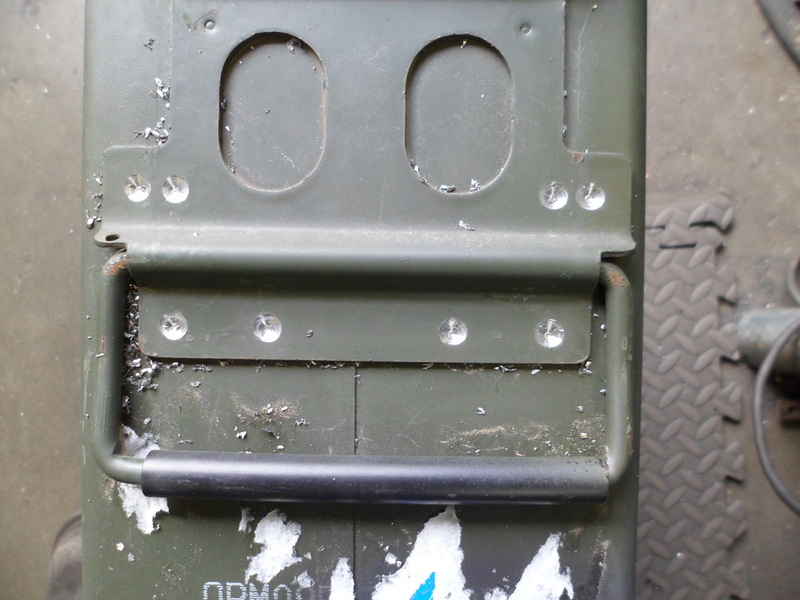 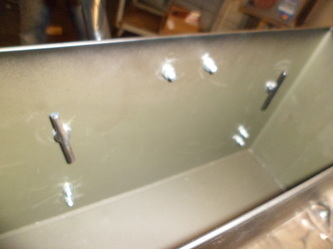 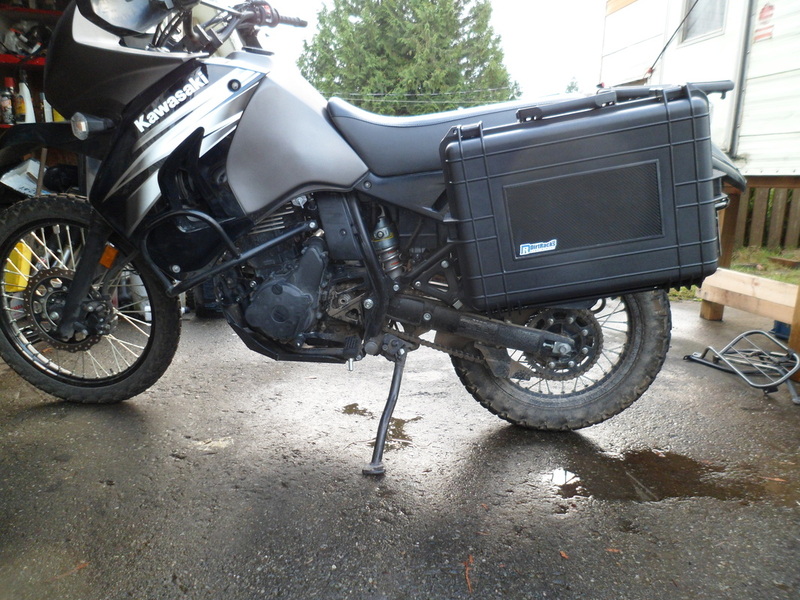 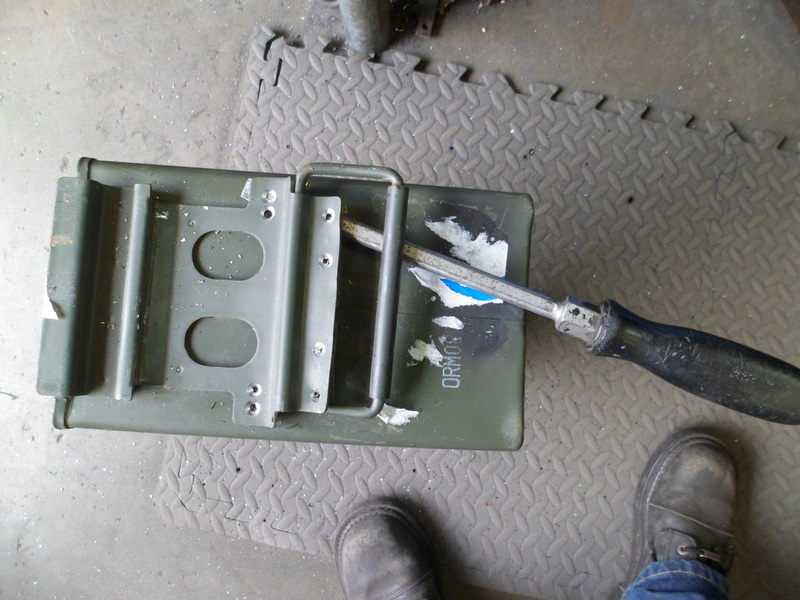 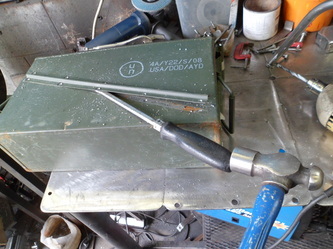 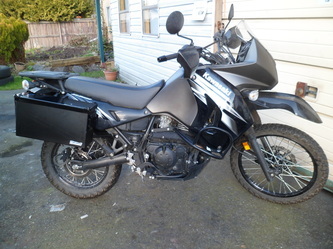 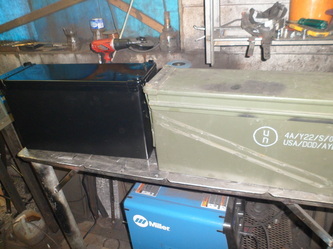 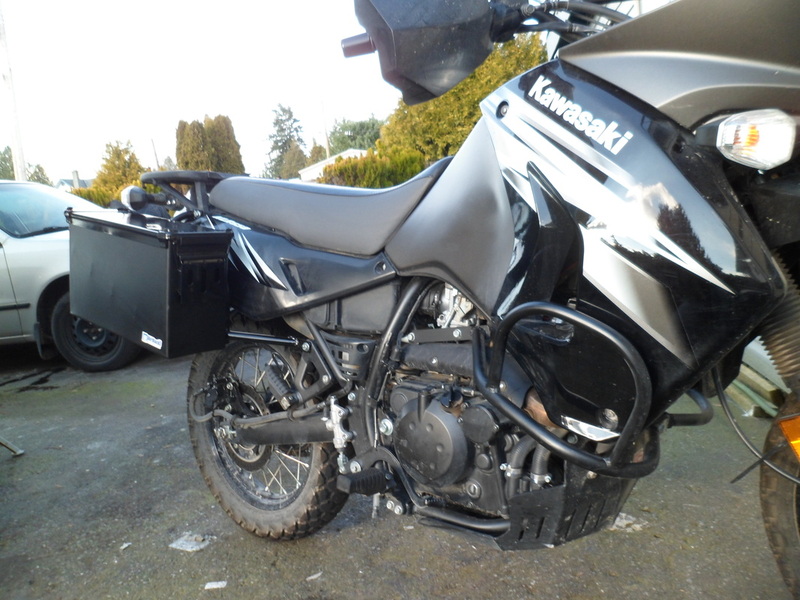 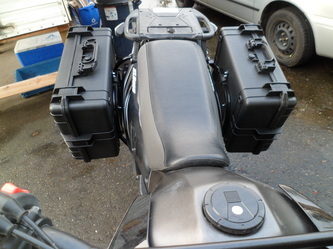 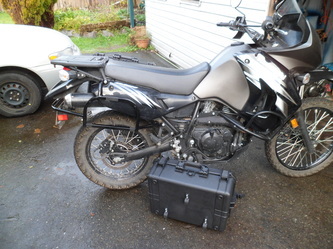 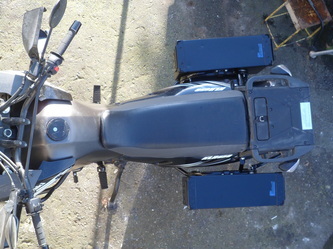 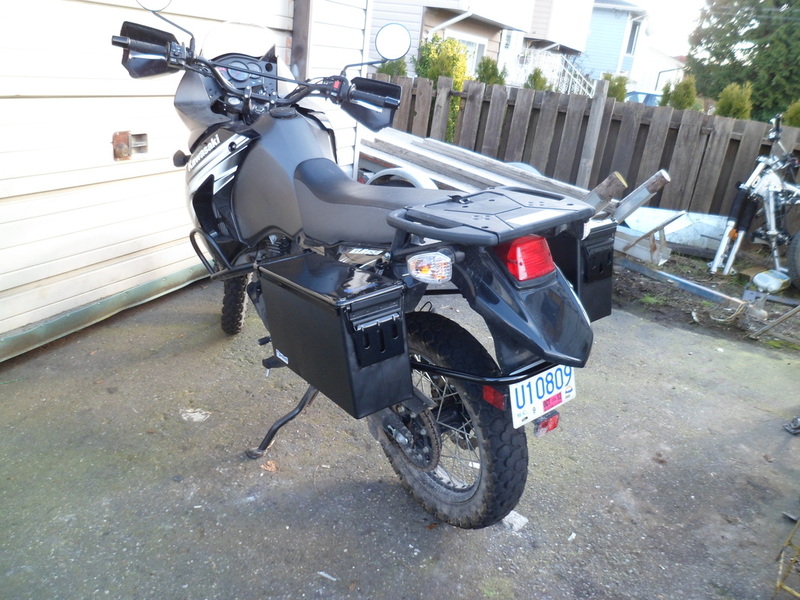 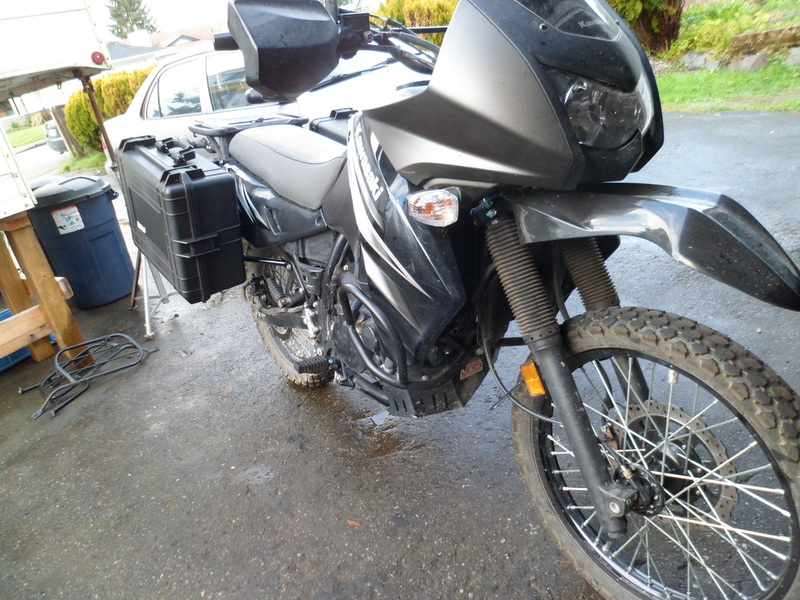 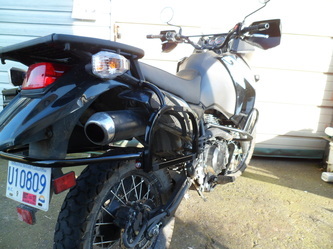 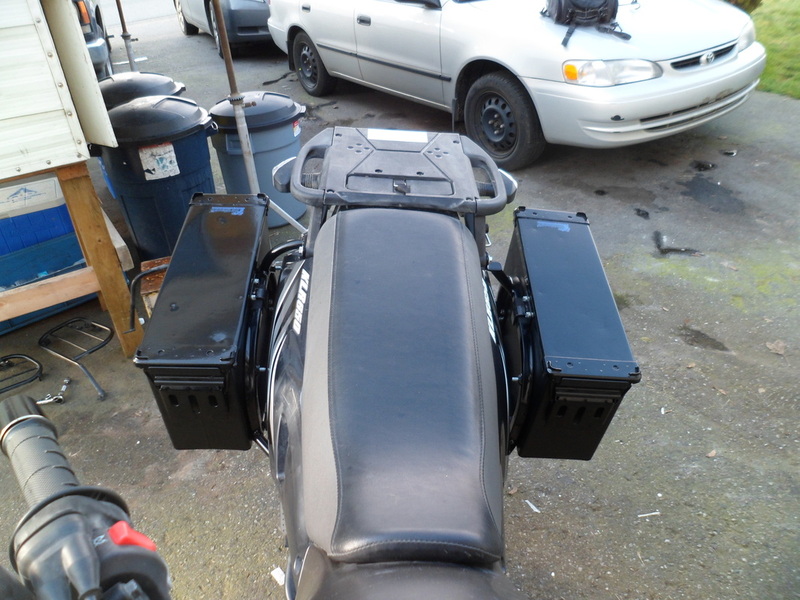 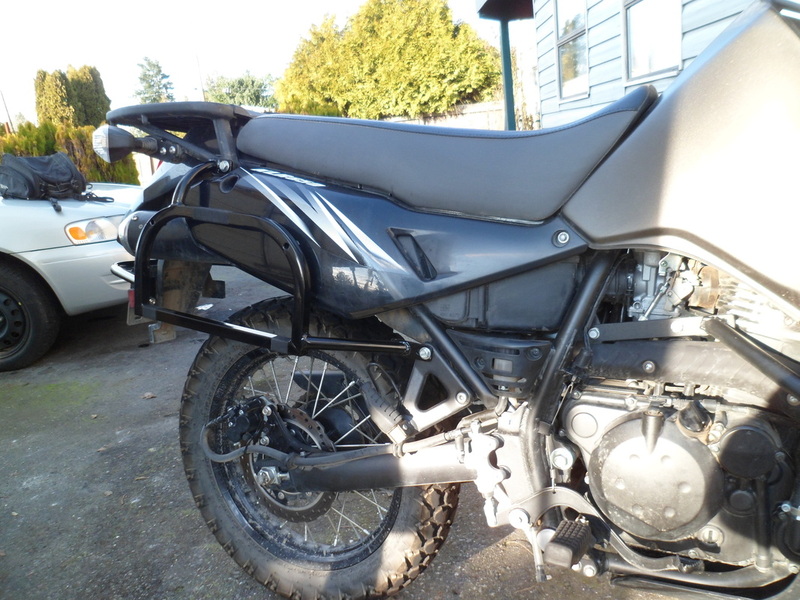 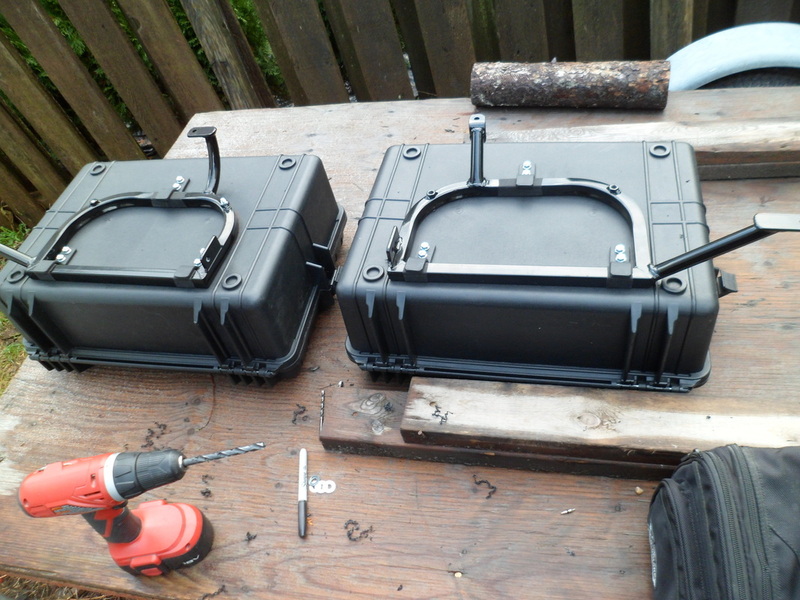 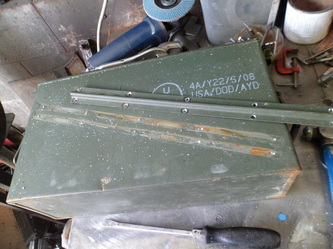 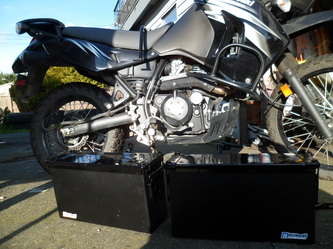 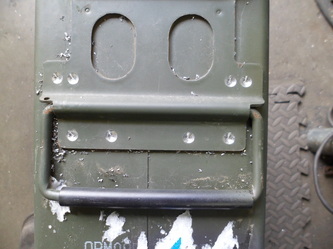 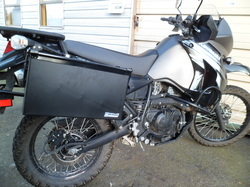 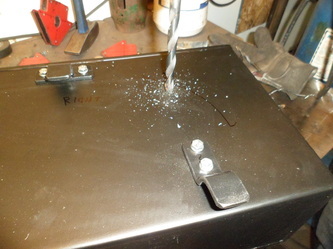 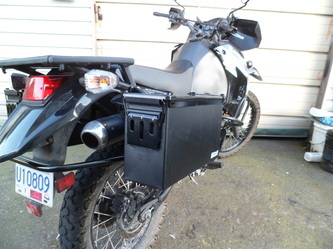 Installing 40 mm ammo cans on my klr650 with the dirtracks.com pannier mounting rack. 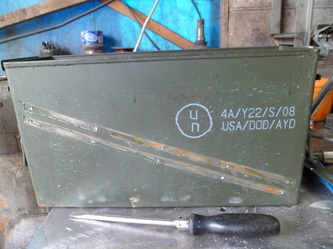 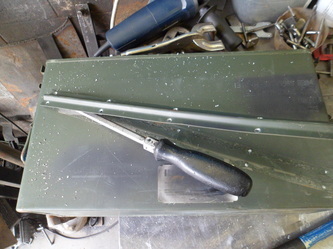 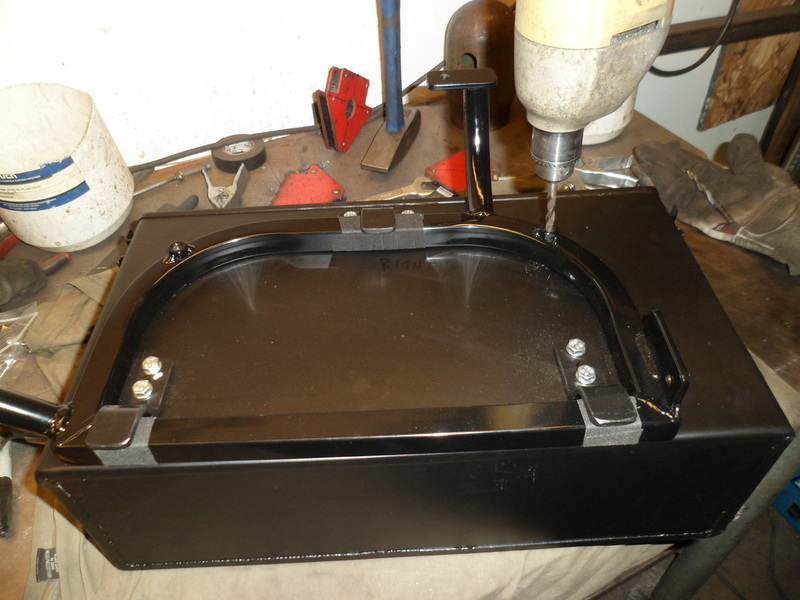 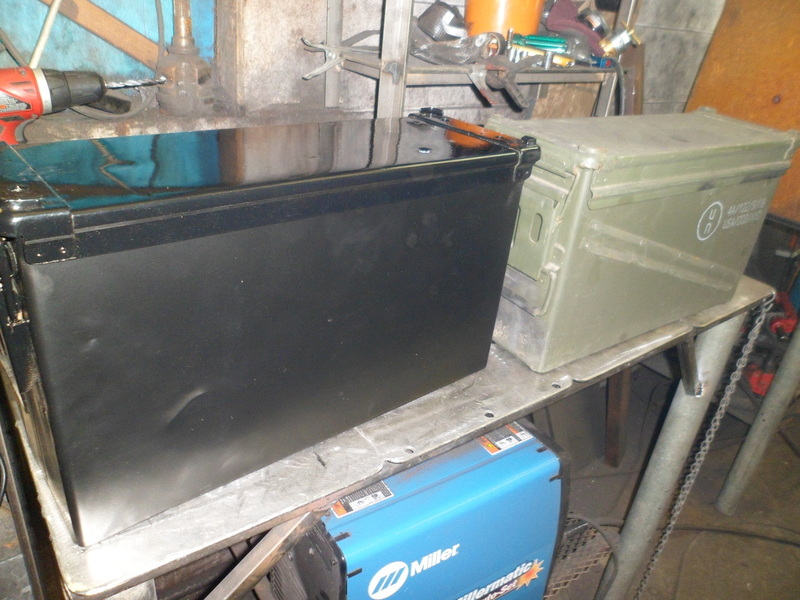 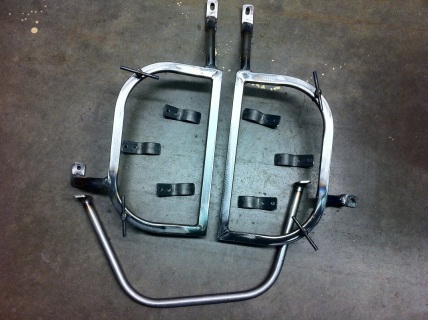 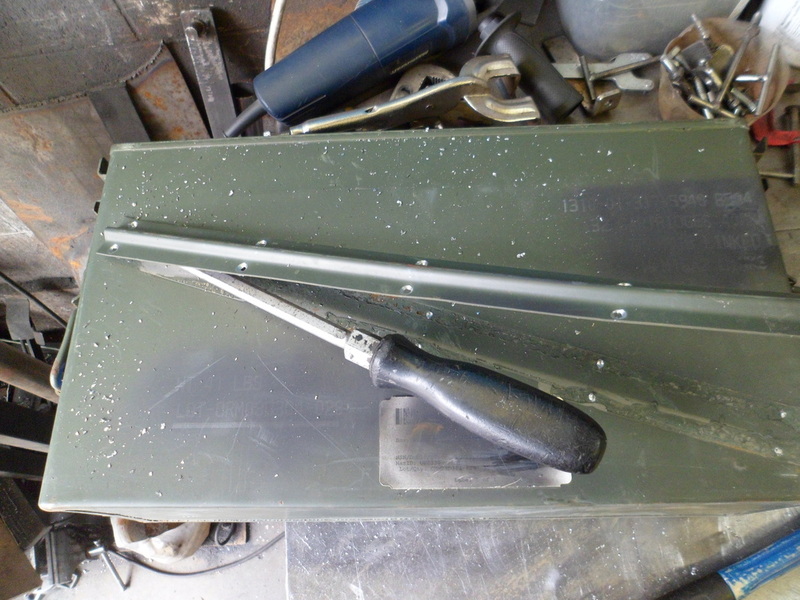 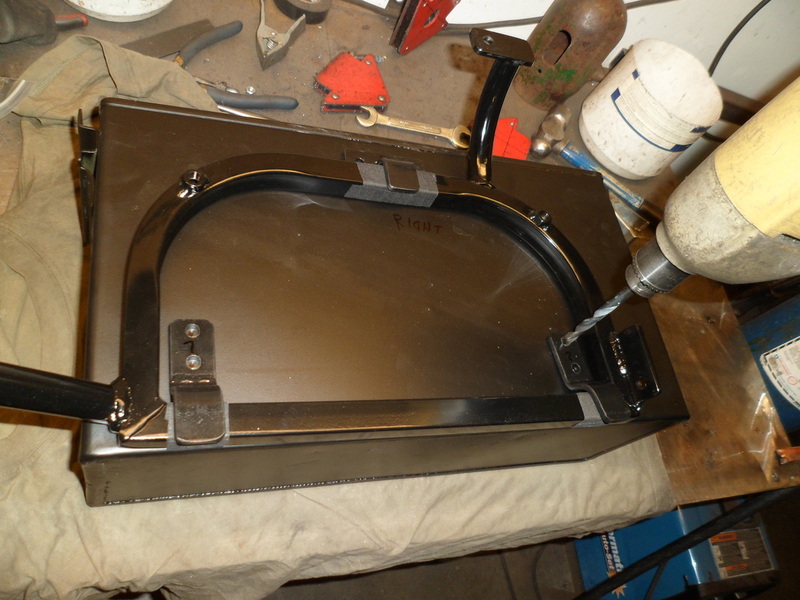 First i removed all the extra metal to make it lighter.Then i powder coated the bottom part with a flat black powder and i used a high gloss powder on the top. Then i mounted the rack on the bike and outlined the frame on the back of the case.Then i drilled some holes to mount the mounting brackets.Reinstalled the rack on the bike and thats it.The case is secured to the frame from the inside with 2 T bolts,very easy to remove,you simply tighten these bolts with your hand,no tool needed.As you can see the paint on the ammo can is a very nice match to the paint on the bike.